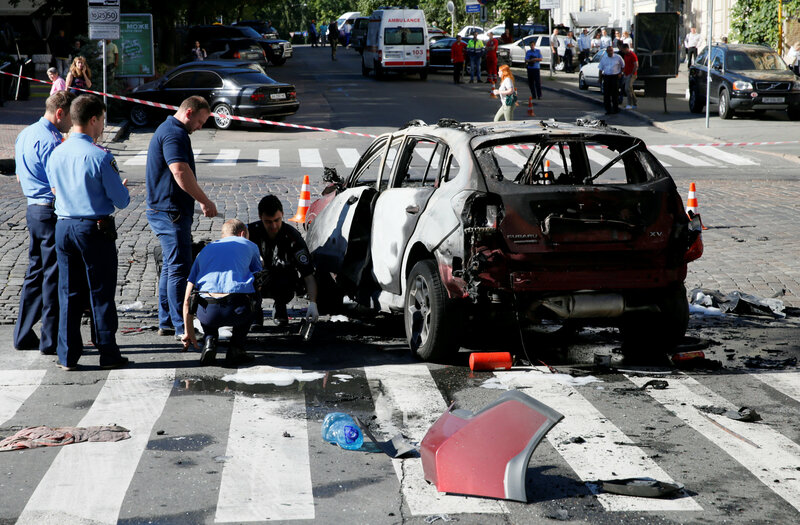 On Wednesday, Pavel Sheremet, an ethnic Belarusian and Russian citizen living and working in Kiev, was killed in a car bombing in broad daylight. 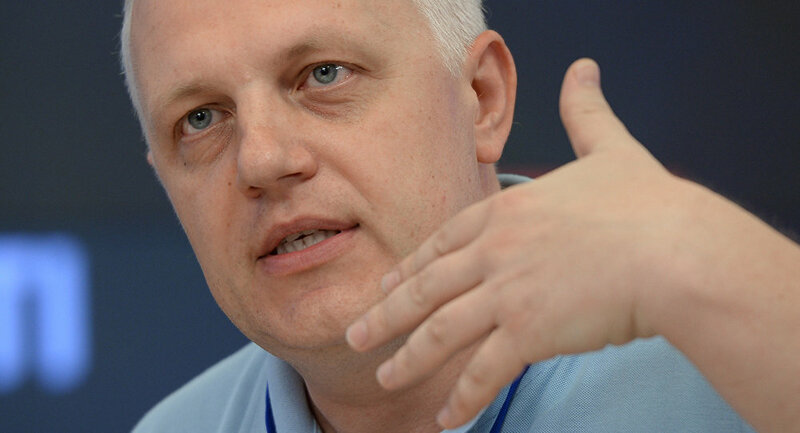 As the Russian media comes to terms with his murder, the main lesson to be learned is that unfortunately, Sheremet's death was not all that surprising, given the situation in Ukraine today. Sheremet, a Kiev-based journalist working for the Ukrayinska Pravda news portal and the Radio Vesti broadcaster, was killed at 7:45 A.M. Wednesday morning when the car he was traveling in exploded shortly after driving off in a street in the center of the city. The car belonged to his civil wife, Ukrayinska Pravda owner Alena Pritula. According to the Ukrainian Interior Ministry, the explosion was likely caused by a remote-controlled explosive device. Commenting on the case, National Police Head Khatia Dekanoidze said that "solving this crime is a matter of honor for Ukraine's police." For his part, President Petro Poroshenko said he was "shocked" by the killing, adding that he "knew Pavel personally." "The perpetrators must be punished," he emphasized. Wednesday's attack was not the first time a journalist or opposition figure has been killed in broad daylight in Ukraine's capital. In April 2015, Ukrainian opposition journalist Oles Buzina was slain outside his home by two masked gunmen. 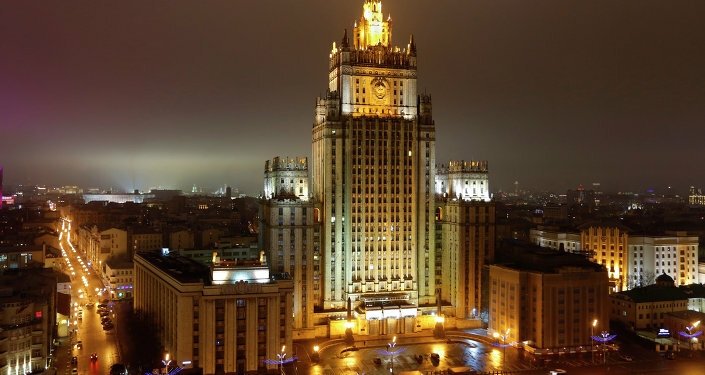 That murder took place less than a day after former lawmaker and government critic Oleh Kalashnikov was killed at his residence in the capital. Another journalist, Donetsk-born Serhiy Sukhobok, was also killed the same month near his home in Kiev. The suspects in the Buzina case were detained two months after the murder; in late 2015, they were released from detention and placed under house arrest. Since 2014, over a dozen journalists, including Ukrainians and Russians, have been killed in Ukraine, many of them while covering the civil war that broke out in the country's east in April of that year. Sheremet's employer, Ukrayinska Pravda, is associated with one of the most disturbing murders in Ukrainian political history: in 2000 Georgy Gongadze, a whistleblower and founder of the news resource's print edition was murdered. The scandal around his death shook then-President Leonid Kuchma's government to its foundations. On Wednesday, Sevgil Musayeva-Borovyk, Ukrayinska Pravda editor-in-chief, speculated that Sheremet's murder was also connected to his work. However, Mikhail Pogrebinsky, the director of a Kiev-based think tank and acquaintance of Sheremet's told Russian news portal Svobodnaya Pressa that "Sheremet was not known for specializing in dangerous investigations; in his views he was moderately anti-Russian and moderately anti-Lukashenko. Among his colleagues he was considered somewhat of a maverick, not afraid to speak his mind." Having met with and spoken to the journalist days before the killing, Pogrebinsky indicated that there were no signs that the journalist feared for his life. Unfortunately, Pogrebinsky also believes that the likelihood of Sheremet's murderers being found and brought to justice is not very high. "In the past, Ukraine had a strong record in investigating contract killings. Today, the police have lost their experience, and I don't really believe in their capabilities. Police chief Dekanoidze's comment about this being a 'matter of honor' doesn't seem very serious to me. Up until this point, she has not demonstrated the qualities of a serious head of law enforcement." At the same time, asked whether the murder will have any social and political fallout, the analyst said that at this point, "Ukrainian society has begun to get used to the fact that armed people walk around in city streets, that tens of thousands of people have unregistered firearms, that even Kiev sees occasional firefights." For his part, Mikhail Rogozhnikov, contributor to Russia's Expert magazine, commented on Sheremet's killing by noting that "if the Gongadze case…was seen as a 'tremendous shock' for Ukraine, expecting this kind of a response in today's Ukraine is hardly possible." At present, he added, Ukraine "has enough ideologically charged, mentally disturbed people with access to firearms prone to acts of violence, and they are relatively self-sufficient in their choice of victims." As to the possible motivations for the journalist's murder, Rogozhnikov suggested that while Sheremet could be seen as a generally pro-government, pro-Western, anti-Russian journalist, "there are many shades" for these sentiments, from oligarchic interests to those dependent on foreign aid to radicals ready to kill anyone whose worldview doesn't match up exactly with their own. As Russian Foreign Ministry Spokeswoman Maria Zakharova recalled, Sheremet was "a professional journalist, who was not afraid of telling the authorities what he [thought] about them – to different authorities and at different periods of time. And he was respected for this." Unfortunately, she added, "Ukraine, (not the country, but its system) is turning into a mass grave for journalists and journalism."